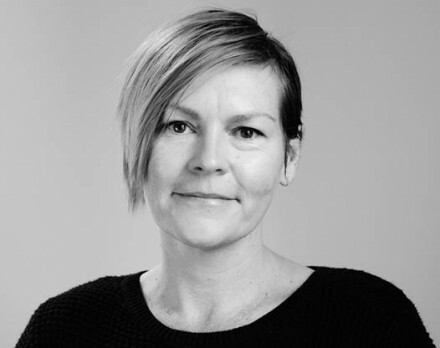 Closer's very own producing wunderkind Rebecca Summerton is heading to Toronto as we speak! Bec is one of only two Australian's selected for the exclusive Producer's Lab, where she'll be learning about things and pitching things and meeting things (people) and all kinds of things. You can read about all that kinda stuff here. Have fun Bec! See you real soon! Send us a picture or something! 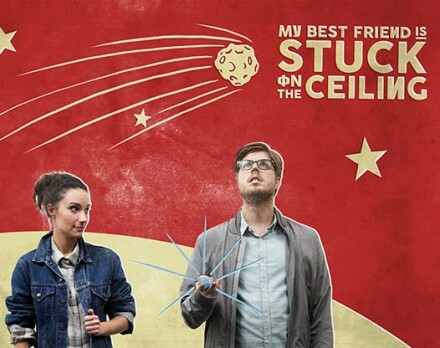 We're super excited to announce that Closer Productions' latest short 'My Best Friend is Stuck on the Ceiling' will be having its world premiere at the Adelaide Film Festival in October! Partnering with local post wunderhouse Kojo Pictures and financed by South Australian Film Corporation and the Adelaide Film Festival, the film is written & directed by Closer's third Matt (Vesely) and produced by Sophie Hyde and new friend of Closer Christine Williams. Thanks also to the radical dudes at Carclew Youth Arts that supported the film's development. The film shot for four days on location at Entropy cafe in Thebarton (seriously good eatin' y'all we recommend) with a top notch SA crew. Matt listened to a lot of emo to get prepared for it (cos he listens to a lot of emo, like, all the time) but we swear it's mostly about the lolz. We're deep into post pushing for that premiere at Adelaide Film Festival in October, and you can check out the info here. See you there! 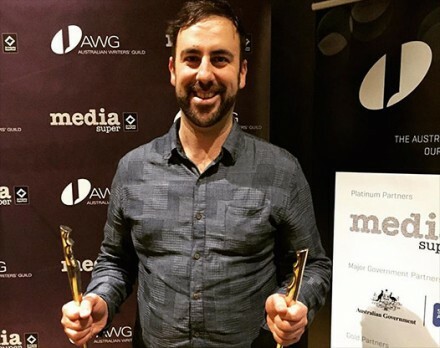 Closer's very own Matthew Bate and his co-writer, Sandy Cameron from Closer-super-best-friends Hedone Productions, won the Australian Writer's Guild award for best writing in a Documentary for Sam Klemke's Time Machine! Check out all the relevant data and factual facts here. Documentaries require scripts, too - especailly ones that get as cosmic as this one. Congrats guys! Buy yourselves somethin' real pretty.